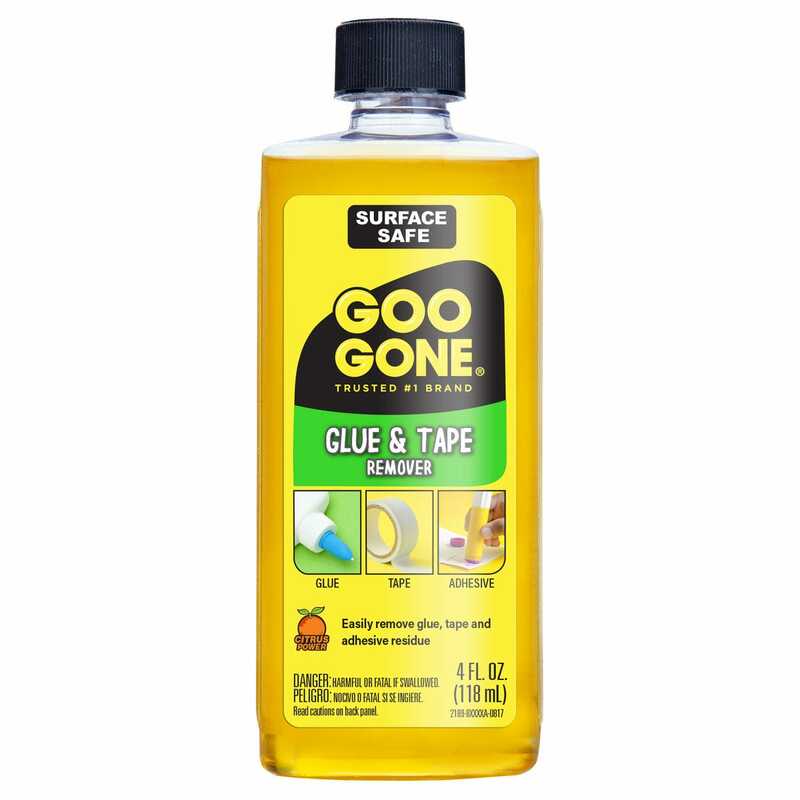 Goo Gone Glue & Tape Remover makes cleaning up adhesive residue easy. 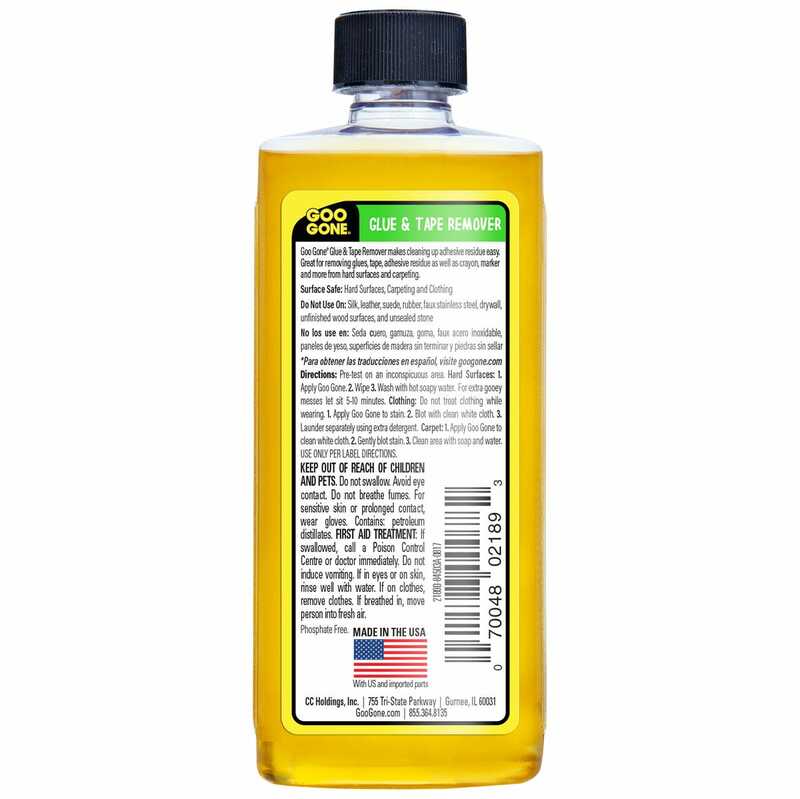 Great for removing glues, tape, adhesive residue as well as crayon, marker and more from hard surfaces and carpeting. Pre-test on an inconspicuous area. Wash with hot soapy water. For extra gooey messes let sit 5-10 minutes. Do not treat clothing while wearing. Apply Goo Gone to stain. Blot with clean white cloth. Launder separately using extra detergent. Apply Goo Gone to clean white cloth. Clean area with soap and water.